Public spending on education was 3 per cent of GDP in 2009. Over the years the international agencies that have assisted the government with its basic education plans have included the Canadian International Development Agency (CIDA), the Organisation of Eastern Caribbean States (OECS), and the UK Department for International Development. There are 12 years of compulsory education starting at age five. The school year starts in September. The government administers the majority of the schools. Antigua State College in St John’s provides technical and teacher education, GCE A-Level and first-year University of the West Indies courses. 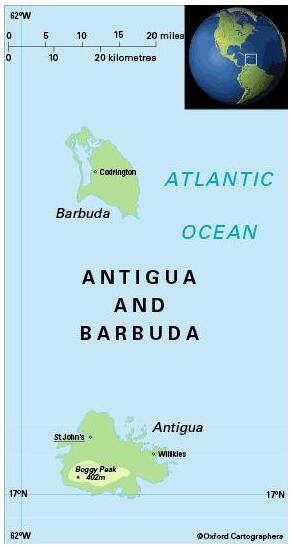 Antigua and Barbuda is a partner in the regional University of the West Indies, which has campuses in Barbados, Jamaica, and Trinidad and Tobago. The Caribbean Examinations Council, established in 1972 by an agreement among 15 English-speaking Commonwealth Caribbean countries and territories, provides examinations and certification at secondary and post-secondary levels. The Caribbean Secondary Education Certificate examination is for students at the end of the secondary education cycle; the Caribbean Advanced Proficiency Examinations for post-secondary students entering the world of work and for those candidates who wish to continue their further education at the tertiary level.